The lawyer representing Dr. David Dao, who was injured while being forcibly dragged from a United Airlines flight, is now representing a mother who was involved in an altercation with an American Airlines flight attendant. Chicago-based personal injury lawyer, Tom Demetrio, told NBC’s 'Today Show' that he was contacted by the unnamed mother after the incident, during which an airline employee allegedly hit the woman with a stroller, narrowly missing her child, as he was forcibly confiscating it from her. A video uploaded to Facebook on Friday, which has been viewed more than 7 million times, shows the aftermath of a confrontation between a mother and a male flight attendant on American Airlines flight AA591 from San Francisco to Fort Worth, Texas. 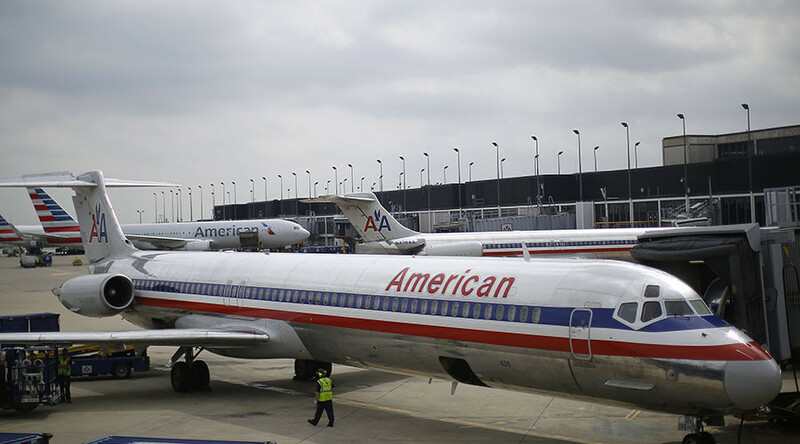 In a statement, American Airlines apologized for the treatment of the mother and said that the flight attendant in question had been suspended while the investigation into the incident is ongoing. Demetrio has spent over 40 years representing injured airline passengers, consumers and medical patients, according to The Wall Street Journal. He famously faced United Airlines in 1989 after one of its planes crashed in Sioux City, Iowa, killing 110 passengers and injuring scores of others. Demetrio won multi-million dollar payouts for the victims and their families. United Airlines recently came under intense scrutiny following the incident involving Dr. Dao, who suffered multiple injuries including a concussion, broken nose and lost teeth as he was dragged from the airplane by police acting on behalf of the carrier.